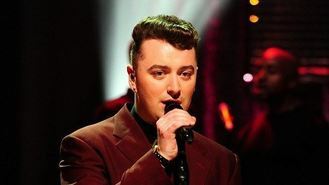 Brit award winner Sam Smith will be starring in the first ever live music performance to be aired during an ad break. Smith, who will be performing his No 1 single Stay With Me at London's Roundhouse, is to fill a three-and-a-half minute ad break during Alan Carr: Chatty Man on Channel 4 at about 10.45pm on Friday May 30. The UK broadcasting first is part of a tie-up between Google Play Music, Google's music store and streaming service, and Channel 4. Smith, who won this year's Critics' Choice Award at the Brits, said: "It's incredible to be part of a world first. Stay With Me being broadcast live to the nation will be a very special moment for me." Google UK's Stephen Rosenthal said: "Through Google Play Music, we're looking to shake up the way music lovers connect with the bands and tracks they love. What better way to show our ambition than lay on this world first with Sam Smith, one of the hottest acts on the planet today." Channel 4, Google Play, MediaCom, The Outfit and Universal Music label Capitol have all been working on the project. Macaulay Culkin and his band were forced to flee the stage at a UK gig after the crowd began throwing pints of beer at him. Former Oasis drummer Tony McCarroll is auctioning off the drum kit he played on the band's debut album Definitely Maybe. Katy Perry has brought the celebrations for the Big Weekend music festival to an end, with acts praising the Glasgow crowd for creating an "incredible" atmosphere. Coldplay have scored their sixth UK number one album with Ghost Stories. Coldplay's Chris Martin took to the stage to join Kings Of Leon on guitar as the band performed at BBC Radio 1's Big Weekend. Howling Bells frontwoman Juanita Stein has said becoming a mother has had a profound effect on her music. Coldplay has brought the first day of BBC Radio 1's Big Weekend to a close. Liza Minnelli has cancelled concerts this summer due to a medical condition. Lionel Richie has admitted he was shocked to discover he will be honoured with a BET lifetime achievement award.